The Daily Caller posted a story today about the LGBT people who are protesting the fact that New York Cardinal–Archbishop Timothy Dolan will deliver the closing prayer at the Democratic National Convention. “While Cardinal Dolan has a respected track record in the ministry, his work to undercut the dignity of LGBT people cannot be overlooked. There are many faith leaders who would be an ideal fitto close out the Democratic National Convention — but Cardinal Timothy Dolan is not that leader,” said Michael Cole-Schwartz of the Human Rights Campaign. It is interesting to me that the LGBT people are not protesting the two hour Muslim prayer meeting that is going on at the beginning of the convention. Has it occurred to them what their human rights would be under Sharia Law? While LGBT groups are indignant at the inclusion of Cardinal Dolan, there’s been no quarrel from them on the invitation extended to individuals that share sympathies with hardline Islamist groups. Radical Islamists have a far, far more intolerant attitude toward homosexuals than any Catholic clergyman, to the point that they have recently been stoned and burnedalive in some countries. Why doesn’t the LGBT lobby get as fired up about the organizers of the Jumah as it does about Cardinal Dolan? Partly, adherents to the Judeo-Christian tradition are familiar targets for the LGBT lobby. But this situation is also the product of the unqualified embrace of pluralism that characterizes the left. When moral judgments are subordinated to the mantra of “diversity,” then the truly odious views aren’t diminished. The result is that the LGBT lobby has become another group on the left that fails to see the danger that radical Islam poses to all of us. The double standard here is amazing. The civil war in Syria continues despite the fact that the news doesn’t seem to be paying a lot of attention to it. I have no suggestions for a course of action–I am not convinced anyone involved is the ‘good guys.’ My only concern is for the civilians caught in the middle. 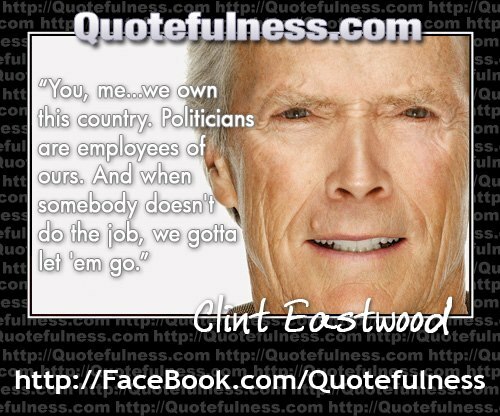 We need to find a way to get the civilians out of the way and let the people who are determined to fight with each other slug it out. However, the human cost of this civil war is a major concern. Gary Lane at CBN News posted a story today about the refugees that are fleeing the Syrian civil war. Please follow the link above to CBN News to see the video showing what is going on in Syria. The United Nations estimates the number of registered Syrian refugees at more than 170,000. They have scattered across the region, ending up in Turkey, Lebanon, Iraq, and Jordan. Doyle (Tom Doyle, with the Dallas-based ministry E3 Partners) witnessed how the effort affected the life of one refugee. “Some of the people were pushing them around and it was mass chaos and this woman looked at me and she said, ‘but it was the Bible people that came to us and gave us food and clothes and loved us and played with our children. It was the Bible people who were there for us,'” Doyle recalled. “When she got done sharing her story she looked at me and said, ‘And I want you to know, I love Jesus now! '” he said. Out of wartime tragedy, “The Bible People” are having an impact on the lives of the refugees by sharing the love of Christ, meeting material needs and shining light into the lives of Syrians fleeing chronic darkness. Obviously, this is an awful situation, but it is encouraging to know that Tom Doyle and others like him are helping the refugees find a new life after fleeing such horrendous violence. As the Republicans hold their convention in Tampa, the Democrat convention to be held next week is taking shape. Mostly it seems as if major Democrats are choosing not to attend. The Daily Caller reported yesterday that although Bill Clinton will be speaking at the Democrat convention, Secretary of State Hillary Clinton will be out of the country. She will be visiting the Cook Islands, Vladivostok, Russia, and Manchuria, China. U.S. unemployment, debts and deficits are at record heights, while wages and investment are in decline. Clinton’s departure prevents Obama from using her popularity to boost his outreach to swing-voting unmarried and married women. Instead, Obama has awarded a speaking slot to her husband, former President Bill Clinton. That could be risky, because relations between the two presidents have been frosty, and the former president may subtly undercut the current president. Clinton’s high-profile exit from the country and from party politics forcefully underlines her effort to distance herself from Obama’s waning political fortunes. But it also protects her fortunes, just in case she decides to run in 2016. House minority leader Nancy Pelosi says that Democratic members should stay home and campaign in their districts rather than go to the party’s national convention in North Carolina. “We nominated a president last time. We have an incumbent President of the United States. We’re very proud of him. There certainly will be enough people there to express that pride, but I’m not encouraging members to go to the convention no matter what the situation was, because they can be home. It’s campaign time. It’s the first week in September,” she said. That really doesn’t sound like a comment made by a winning team. At this rate, I wonder how many average Americans will be able to get into the Democrat convention just to fill the seats! You Can’t Win If You Are Not Willing To Fight ! The Washington Examiner posted an editorial yesterday about the fight that went on at the Republican convention about rules changes the Romney campaign wanted to make. Ginsberg’s (Romney campaign lawyer Ben Ginsberg) rule change, launched without warning Friday morning, would have given the presidential campaigns the power to replace any of the delegates pledged to them, functionally giving them the power to select every state’s delegation. Many in the conservative movement saw this as a power grab by party insiders at the expense of grassroots conservatives, with the Paul threat serving merely as a bogeyman. …As they learned in the Bush era with the Supreme Court nomination of Harriet Miers, conservatives often achieve better results by holding a Republican president’s feet to the fire. In the event of a Romney administration, conservatives must learn from this small fight and keep up their efforts. 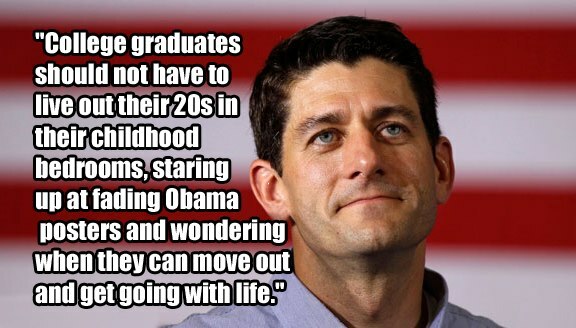 We hope Romney learns from it, too. The bottom line here is simple. If the conservative wing of the Republican party intends to wrest control of the party from the establishment Republicans (who are not noticeably different from the Democrats on many issues), they need to increase their numbers in Congress and fight hard. We can win this battle without forming a third party–we just need to be willing to fight the battle. The details of the Republican Platform for 2012 can be found at gop.com. The platform is summarized and set up so that you can link to the subject you are interested in. Subjecting American citizens to foreign laws is inimical to the spirit of the Constitution. It is one reason we oppose U.S. participation in the International Criminal Court. There must be no use of foreign law by U.S. courts in interpreting our Constitution and laws. Nor should foreign sources of law be used in State courts’ adjudication of criminal or civil matters. Just as George Washington wisely warned America to avoid foreign entanglements and enter into only temporary alliances, we oppose the adoption or ratification of international treaties that weaken or encroach upon American sovereignty. It’s time to bring America back to its roots! The Daily Caller posted a story last night that shows how the media can alter the appearance of an event by what they choose to show the viewers. During the the Republican National Convention on Tuesday, MSNBC was very selective in their coverage of the event. If you were watching MSNBC’s coverage of the Republican National Convention in Tampa on Tuesday night, you might believe those assertions, since missing from the coverage was nearly every ethnic minority that spoke during Tuesday’s festivities. There were a number of speakers at the convention that were minorities–Democratic Rep. Artur Davis, a black American; Mia Love, a black candidate for the U.S. House of Representatives from Utah; and Texas senatorial hopeful Ted Cruz, a Latino American. When those people spoke, MSNBC stopped covering the convention and switched instead to their panel of commentators. I wonder if this election would even be close if we had an honest mainstream media. 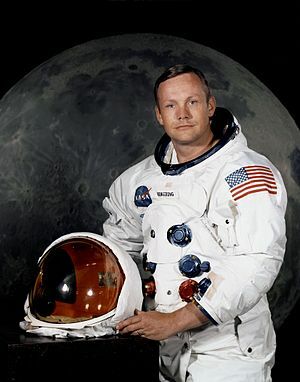 Yesterday Investors.com posted an article about the death of astronaut Neil Armstrong. He was 82. On July 20, 1969, Astronaut Neil Armstrong was the first man to walk on the moon. A graduate of Purdue with a degree in aeronautical engineering, his academic career was interrupted when he was called to duty with the U.S. Navy in 1949 and flew 78 combat missions in Korea. He was an exceptional man and an exceptional American. …Armstrong had publicly opposed the gutting of the U.S. space program by the Obama administration, which has left us no current way of sending men into space except for paying the Russians for a ride while NASA conducts “missions” like a Muslim outreach program and observing earth for signs of climate change. Neil Armstrong was one of our early astronauts. The early astronauts were American heroes. All of them showed amazing courage in facing a task with so many unknown elements and no promise that they would return. 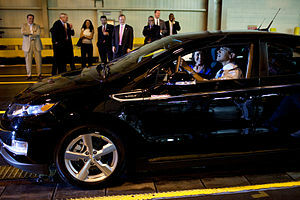 One of the accomplishments that President Obama is citing on his ‘stump speech’ is his bailout of General Motors. So far the taxpayer has lost about $25 billion on the bailout. I have posted a number of articles about the lack of sales of the Chevy Volt during the past year (you can use the search engine at the top of this site if you want to read them). The bottom line is that even with the government paying customers to buy the car, the car is not selling. There have also been a number of fires in the Chevy Volt after minor accidents. Yesterday USA Today reported that General Motors is shutting down its Chevy Volt assembly line for a month and retooling it to produce Chevy Impalas. “We are not idling the plant due to poor Volt sales. We’re gearing up for production of the new Impala,” Chevy spokesman David Darovitz said in an email. Maybe I just don’t understand business, but it seems to me that if a car is selling well, you don’t suspend production of that car for a month. A website called Catholic Online is reporting a new aspect of Obamacare. Under Obamacare, children 15 and over in the state of Oregon will now be able to undergo sterilization without parental consent. Just for the record, children younger than 18 need parental consent to get their ears pierced. I need to state here–I am not Catholic and I am not opposed to sterilization of an adult who makes that choice. That is not the point. What is happening here is that a major decision that will affect a child for the rest of his (or her) life is being made without parental input. That is just too much government for my taste. Yesterday the National Journal Daily posted a story saying that the Democrat party had cancelled its planned Florida events during the Republican convention due to the hurricane. Oddly enough, the protestors were not enamored with the idea of standing outside in hurricane-force winds and tropical downpours while the conventioneers enjoyed their inside climate-controlled environment. If Isaac intensifies into a hurricane, as predicted, it could threaten a swath of the Gulf Coast and might require Obama to scale back plans to campaign this week in Colorado, Iowa, and Virginia. A senior administration official said that no decisions have yet been made about altering Obama’s campaign schedule. Note that no plans have yet been made to alter the President’s campaign schedule. I don’t think we should re-elect President Obama–I think we should just send him out on the campaign trail for the next four years–he seems to enjoy that more than actually governing. Who Is Teaching Our Children and What They Are Teaching Them ? Reza Kahlili is a pseudonym for a former CIA operative in Iran’s Revolutionary Guards and the author of the award winning book, A Time to Betray. He is a senior Fellow with EMPact America, a member of the Task Force on National and Homeland Security and teaches at the U.S. Department of Defense’s Joint Counterintelligence Training Academy (JCITA). His website, A Time To Betray posted an article today about Abbas Maleki, the Iranian regime’s former deputy foreign minister and adviser to the Supreme Leader. Mr. Maleki is set to begin his academic career in America at Harvard and MIT. It’s time to think about what our ‘best and brightest’ are learning in college. Yesterday the Daily Caller posted a short video of some comments by Association of Community Organizations for Reform Now (ACORN) whistle-blower Anita Moncrief. Ms. Moncrief called for black voters to stop voting for politicians on the basis of their color. She also articulated very well the idea that she was perfectly able to think for herself and speak for herself. Regardless of where they come down on the political spectrum, we need more voters (of all colors) to do their own thinking. Please watch the video below. Ms. Moncrief makes some very good points! The alternative headline for this article is “Do They Really Think We Are That Stupid?” I understand that the political debate can get pretty heated, but it’s time to back up, take a deep breath, and think about what we believe. If every American would do that, there would be no need for bogus campaign ads. Speaking of bogus campaign ads…John Hinderaker at Power LIne posted an article today about a campaign ad done by the Obama Campaign. In the ad, a number of women claiming to be Republicans express their dislike for Mitt Romney. The video is called “Republican Women For Obama.” I have no problem believing the ‘for Obama’ part–it’s the ‘Republican Women’ part I have trouble with. ...The ad is surprisingly ineffective, but it is also dishonest. At least one of the women who pose as “Republican women for Obama” is a long-time Democrat. Her name is Maria Ciano, and BuzzFeed finds that she has been a registered Democrat in Colorado at least since 2006. The article then goes on to list some of the ‘likes’ the woman has listed on her Facebook page. Did they honestly think no one would check? Ms Ciano’s mother is also featured in the ad, and research on her indicates similar political views. There may be some Republican women who support President Obama. I am not aware of any, but they may exist. It is a shame that the Obama campaign chose to use women who lied rather than searching for women who actually support them. There must be at least one out there. One of my favorite Congressmen is Representative John Campbell, a Republican from California. Many of you know that I am the only member of Congress with a Master’s Degree in Business Taxation (MBT). I received that degree from USC (Fight on!) in 1977. I am a CPA and once prepared tax returns for a living. At that time, I learned the Internal Revenue Code of 1954. We now have the Internal Revenue Code of 1986. I believe we may soon see the Internal Revenue Code of 2013. But, what will that code look like? We ought to “reach for the stars” here. Let’s not just tinker with the tax code and change it a little bit. Let’s see if we can get 218 votes in the House, 60 votes in the Senate and the signature of whoever is president on a complete restructuring of the Code that would make it flatter and simpler. This is the link to Representative Campbell’s tax proposal. After reading the proposal, there is a link to another site where you can take an opinion poll expressing your ideas on the proposal. Eliminate all deductions except: charitable contributions, home mortgage interest and non-elective medical expenses. Go to 2 tax rates: one for incomes below $100,000 (maybe 20% under this scenario) and a second for incomes above that (something like 28%). Allow corporations to deduct dividends from their income, but make dividend income taxable as ordinary income with no preferences to individuals. Eliminate any preferences for capital gains, except for non-depreciable assets held over 5 years. Implement a minimum tax so that anyone with any income at all pays 2% of their gross income or a minimum of $100. Please follow the link to read the details of the proposal and record your ideas. Tonight my husband and I went to see 2016: Obama’s America at the Regal Theater in Swansea (MA). This is a movie that the liberal press has not loved. Variety’s Joe Leydon dubbed it a “a cavalcade of conspiracy theories, psycho-politico conjectures and incendiary labeling.” He must not have seen the same movie I saw. The theater was relatively full–it was a 6:40 showing. My husband and I had a chance to talk to a few of the people who were there. I don’t know what their political affiliations were–this is Massachusetts–sometimes it’s better not to ask–but the feeling I got was one of concern for America and worry about the direction the country is currently heading. The information in the movie was not new–anyone who has paid attention to anything other than the mainstream media during the past three and a half years knew the basics of the movie. What was different about the movie was the organization of the information we have about President Obama and the insights of the writer, who is from a country that was for many years a British colony. As Americans, we sometimes forget what it is like to grow up in other countries. President Obama spent some of his younger years in Indonesia, where his stepfather’s leaning toward democracy created problems in his parents’ marriage. Through President Obama’s mother, the President developed an image of his biological father that was not necessarily accurate. There were a number of influences described in the movie that explained President Obama’s policy positions on various issues. In the movie, the President is described as an anti-colonialist. This explains, among other things, his attitude toward the bust of Winston Churchill (see rightwinggranny.com), and his support of Argentina in the debate over ownership of the Falkland Islands. The movie was not anti-Obama. It was a compilation of biographical facts that should have come out four years ago. There was nothing startling in the movie. It was pointed out that four more years of an Obama Administration would probably change this nation fundamentally, but the audience was given the option of deciding how it would feel about those changes. I would strongly recommend seeing this movie. It is a basic summary of the biography of President Obama. The information in the movie should be a part of every voter’s decision process before deciding on their Presidential vote in November. National Review‘s The Corner posted an article yesterday about Gawker Media, a website that has been very free with its criticism of Mitt Romney‘s financial dealings. There was nothing illegal (or even interesting) in the material released, but there is more to the story. Gawker is organized like an international money-laundering operation. Much of its international revenues are directed through Hungary, where Denton’s mother hails from, and where some of the firm’s techies are located. But that is only part of it. Recently, Salmon reports, the various Gawker operations—Gawker Media LLC, Gawker Entertainment LLC, Gawker Technology LLC, Gawker Sales LLC—have been restructured to bring them under control of a shell company based in the Cayman Islands, Gawker Media Group Inc.
Maybe the real villain in this story is the IRS. On Monday, Forbes Magazine posted an article about the changes Massachusetts Governor Deval Patrick has made to the health care plan originally passed under Governor Mitt Romney. Because the costs of the original plan have spiraled out of control, Governor Patrick is working to slow the growth of the cost of medical care in Massachusetts. His heart may be in the right place, but his plan will do considerable damage to an already broken system. Insurers and large hospitals in Massachusetts will also have to pay $225 million in surcharges over four years, starting in 2013. The measure’s backers project savings of $200 billion over 15 years. Massachusetts State Rep. Steven Levy (R-Marlborough) has noted that the law contains no specifics as to how the savings it mandates will actually come into being. He’s also called the gross state product a “random” number with which to straitjacket the healthcare budget. The article further explains that part of the changes to the law include the creation of two new state agencies–the Health Policy Commission and the Center for Health Information Analysis. How is it possible to save money when you have created two new agencies staffed with people who have to be paid, office space that has to be rented, and office supplies that have to be purchased? Witness the impact that previous rounds of government-directed “reform” have already had. A study published last year in the New England Journal of Medicine noted that the Bay State’s 2006 health reform package had been associated with rapid new hiring in the Massachusetts health system. That might sound like good news. But it wasn’t doctors or nurses getting hired. Rather, it was scores of administrative workers, who were needed to process all the new paperwork mandated by the reform effort. I hate to be difficult, but is anyone concerned about the medical care for the patients in this scenario? …The Massachusetts Medical Society has predicted that Gov. Patrick’s law will force many hospitals to cut staff and result in delayed care for some patients. Bay Staters already have to wait 45 days on average for an appointment with a family medicine doctor, according to the Society. That’s a 50 percent jump in wait time since 2010. If the Massachusetts heath care reform bill is the model for Obamacare, we need to pay attention as Massachusetts shows us why we need to end Obamacare! Today’s Daily Caller is reporting that ten Immigration and Customs Enforcement (ICE) agents have filed a lawsuit in federal court in Dallas, Texas, charging that President Obama’s June 15th deferred action directive is essentially an order for the ICE agents to break the law. Kansas Secretary of State Kris Kobach, an adviser Republican presidential candidate Mitt Romney, is the lead attorney on the case. This is another illustration of Presidential overreach and how it impacts America. The ICE agents are being prevented from doing their job–not because Congress has changed the law or a change to the law has been made constitutionally–but because President Obama says so. It’s time to elect a president who respects the U. S. Constitution. Yesterday the Providence (RI) Journal posted a story and video clip concerning a press conference held by Congressional candidate Anthony Gemma, charging voter fraud in past Rhode Island elections. Mr. Gemma explained that he had hired TRP Associates, a detective agency run by three retired state troopers, to investigate voter fraud in recent Rhode Island elections. Gemma contends an investigation he initiated by retired state troopers found evidence of people being paid to vote for certain candidates, people voting multiple times at different voting places and people who impersonated other voters. Speaking at an outdoor press conference near his headquarters, Gemma called Cicilline the “common denominator” through most of the evidence, some of which dates to 2002. …Gemma says he has met with the head of the state police Col. Steven G. O’Donnell to discuss the evidence. Gemma said he also turned over information to the FBI. There are a few things to remember here. These charges are being made in the heat of a Democrat Party primary election campaign. That means that the charges should be examined carefully, but it doesn’t mean that they should be dismissed out of hand. Rhode Island is a one-party state–Democrat. The Democrats in Rhode Island have a very strong political machine, and it is hard for a non-sanctioned-by-the-machine candidate to get past a primary with a machine candidate. This is a story that needs to be watched to see what evidence actually is made public and how important that evidence is. On Tuesday, the Times of Israel posted a story about some new military construction in Iran. According to the article, Iran has begun constructing a new state-of-the-art, anti-aircraft missile base near the city of Abadeh, in southern Iran. Defense Minister Gen. Ahmad Vahidi said Iran will commission a new generation of fighter jets, missiles, unmanned drones and submarines by the Iranian New Year, which falls in March 2013. Iran’s purported military advancements are impossible to independently verify because the country does not release technical details of its arsenals or rely on equipment from major international defense contractors. Meanwhile, USA Today is reporting that Israel may not give the United States much advance notice if it attacks Iran. There is a difference of opinion between Israel and the United States as to when it will be appropriate to attack Iran. I think both countries agree that it should be before Iran uses its nuclear weapons against Israel–but that is probably the only point of agreement. Israel wants to attack as soon as Iran has all the makings of an atomic bomb and delivery system. President Obama seems to be leaning toward the idea that an attack is appropriate only after Iran has successfully assembled an atomic bomb. Israel thinks (probably correctly) that waiting that long will be signing their own death warrant. Meanwhile, Iran has threatened to target all American bases in the Middle East if it is attacked. I am not optimistic about finding peace in the Middle East. I don’t think Israel will attack Iran before November unless they feel that President Obama is going to be re-elected. I think they would much rather have Mitt Romney in the White House when they attack. I am also not sure if Israel has the bunker busting bombs needed for a successful attack on the Iranian nuclear facilities. I suspect that the Romney Administration might be more willing to lend them these bombs than the Obama Administration. I have no explanation for President Obama’s apparent lack of support for Israel. I do think that lack of support may become very obvious if Israel feels it needs to attack Iran before the November election.